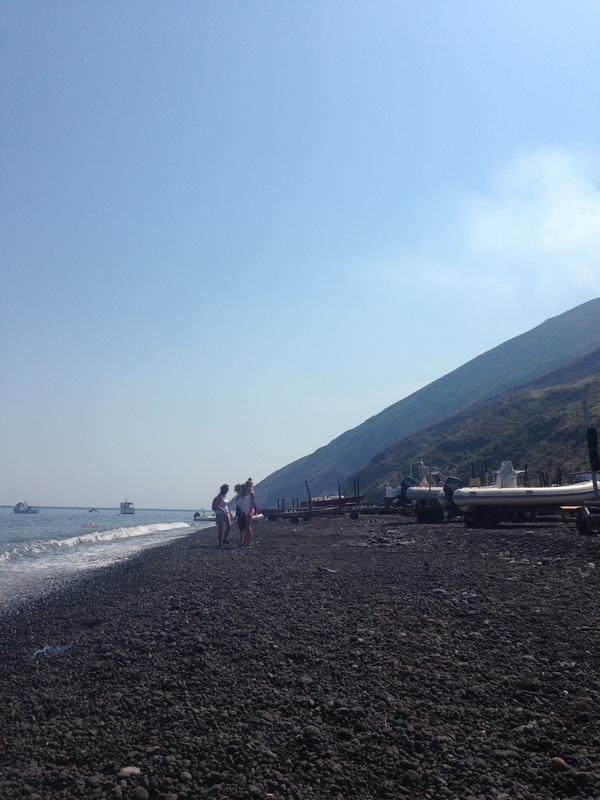 Here is my story of Strombolicchio, a symbolic old volcano stuck out in the sea, told from the perspective of climbing the new volcano it gave birth to. 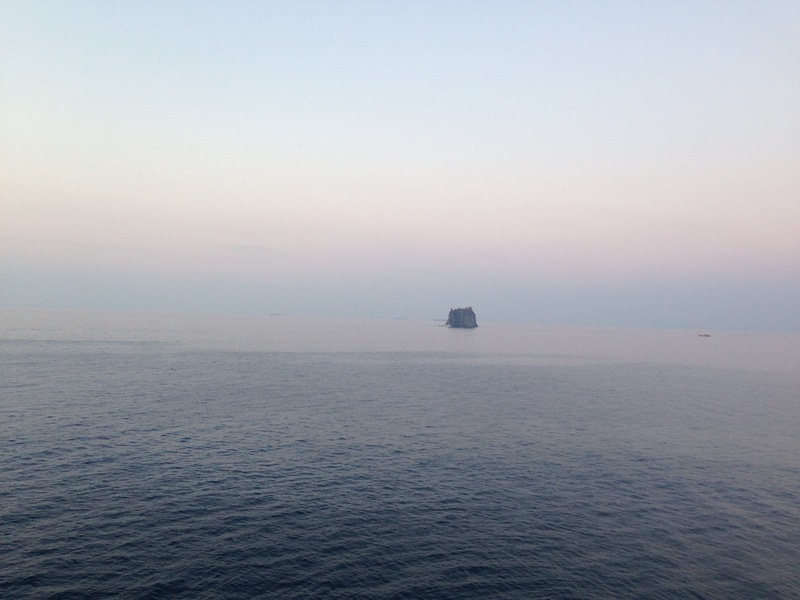 A small sea stack in the middle of the sea was facing me. When I swam around it I found out it was a symbol of energy and power. Just touching the rock felt magical. It’s 30 euros for a guide. It is 10 euros to hire each item. That’s sticks, socks and a light because it will be dark when you come down. It’s OK we wash the socks after each use. It’s our job, says the guide. He is an angel. 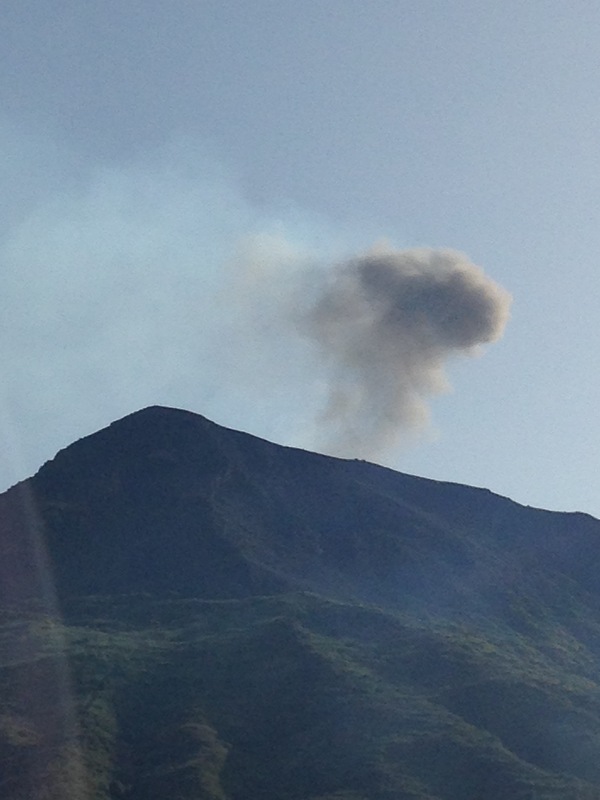 There are nerves ahead of climbing the fiery volcano Strombolicchio gave birth to. I drop the envelope and the money spilt. Bills everywhere. The quay is covered. This isn’t a port where I’m from. This isn’t even a pier. But it’s where the boats stops so I wait. I forget I’m already in holiday mode. I spent the last week in Urbino. It’s still there. So I can stop worrying. Nothing is lost. I remember I am in Italy and the light is so delicious so everyone looks like a model. I buy a fake designer scarf from the market by the port to fit in. The energy is perfect. Every T shirt on the market stall has the Stromboli gecko on it and costs 15 euro. The stall owner wants me to buy clothes to wear for the climb. The issue of short or long trousers is this, the black sand will fall into your boots no matter what when you come down. She may have been right to wear short trousers. During the climb it’s hot, I fold and decide to quit. I drift to the back of the group and Strombolicchio calls me on. It will not let me go. I am staring at it right in front of my eyes. Something keeps me going. Things are not what they seem because of what heat can do and because of what the power of energy is. Small is big. and gigantic is tiny. Things are not what they seem. Miniature Strombolicchio was once the huge mother volcano that gave birth to the monster volcano we visit today with all the emotions and power exploding out of her core. We are one. 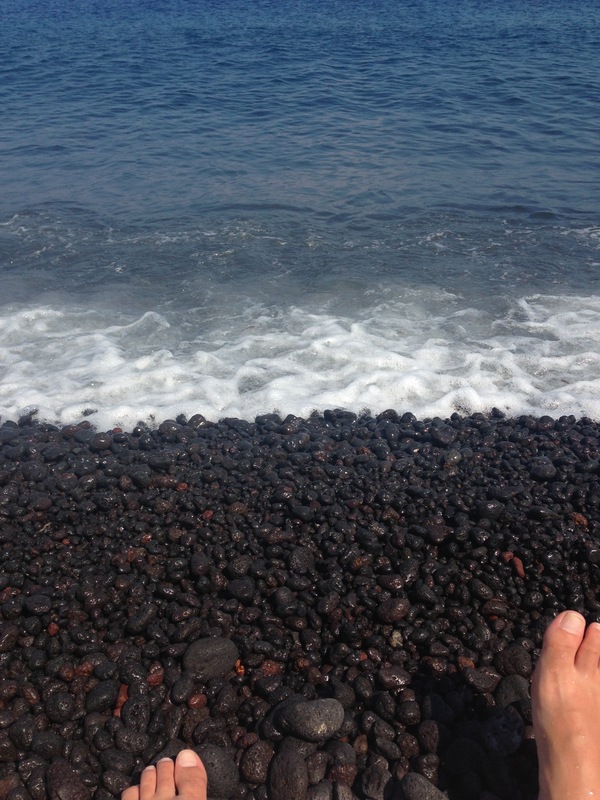 The dirt on my feet from the black sand that wore me down on the way to the ground is still there. I stretch my feet towards the sea, sat on the beach but they barely reach. The base station is full and there is no help. They had moved the stop. It was here last time I came. They move it according to the construction works at the Port. They won’t tell me where to. They want to keep the taxis busy. It’s a hundred euros for the airport. I’m good with waiting for the bus. However late. The guide is an angel but my boss is not. He makes me stay late. And those with families can leave early. Which is bad enough as there is already a sadness not to have children and now you have to work extra hours. He doesn’t understand my boundaries. I could go out in the sick. I could explain my feelings. Or I could find a less stressful job. Cabin crew are now ready for take off and the adventure is a distant memory along with the black sand that was on my feet. The space between my toes feel different. All spaces around me feel free. It is unusual to be so hot in London, our final destination. The plane cannot take off until it cools down. The runway is short in this city. These temperatures are not normal and I think back of the volcano and how it was given birth to from another that is now only a lump of rock. Everything has a season like wearing high heeled shoes to work. The air hostesses serve water to 150 commuters on board and tie a life jacket round their waste or check the doors are locked. I mean how hard can this job be. I’m recording this. Says the lady in front of me. She is holding up a phone. She replays what she has heard. If you want to see your luggage get off the plane. They are offloading bags. There is no guarantee they will ship it to you. Normally this statement would have me running for the exit but the volcano has changed me. The smaller Strombolicchio sitting in the distance that I saw from the top has given me the strength to stay in the moment. 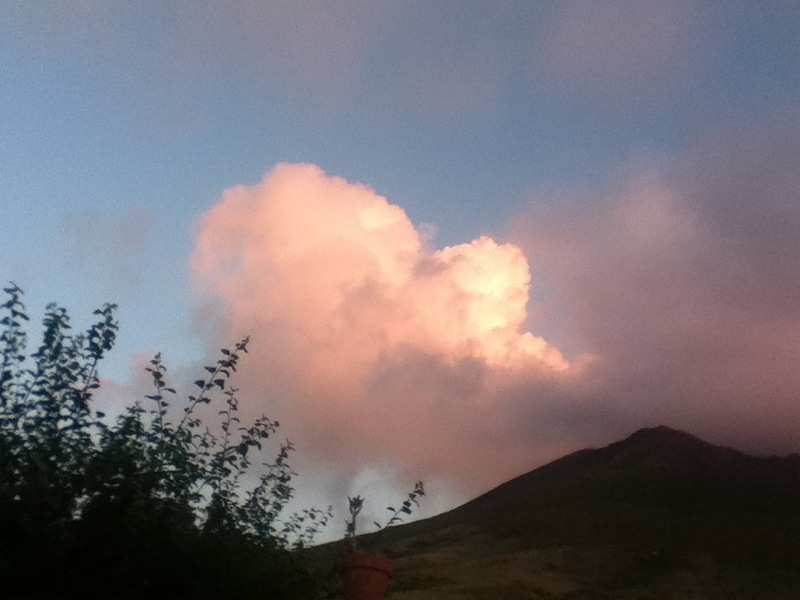 A volcano to me now symbolises the power of now. After the walk up (and more importantly down) the volcano I can sit on a plane and wait until they have changed the wheels. 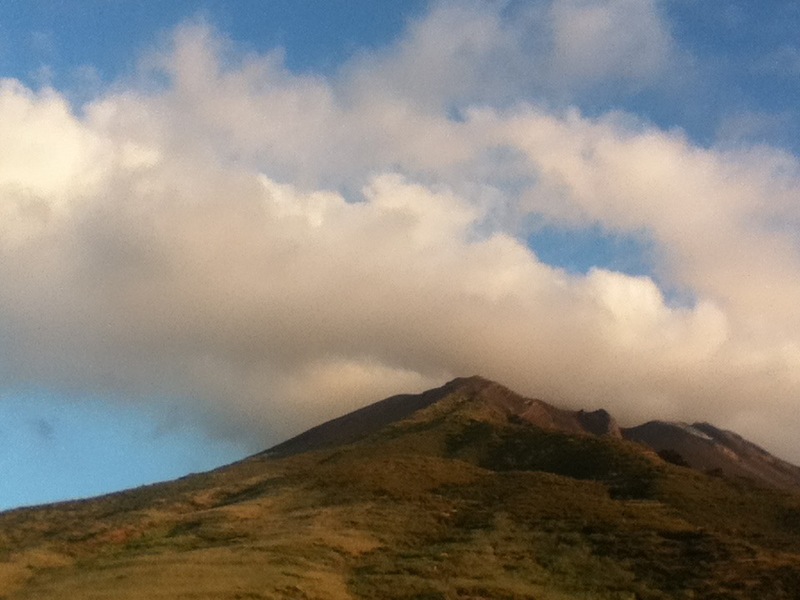 The volcano taught me when you go up you always come down and your feet is firmly on the ground if you chose it. The luggage will find us. Like the damaged bottom of my suitcase, all I need right now is new wheels and a plan to stop them spinning. Pack Your MatWhy I chose to tattoo the OM symbol on my forearm? Angelic HandsMy First Response to a Prompt! Raspberry’s DaydreamsRed roses are love..
my spanglish familiaFear Of Heights: How Do I Make It To The Top? The numpty with a cameraSymbol of Urban Art. To Wear A RainbowKey to happiness…WPC. Laura Gabrielle FeaseyThe Hemingway Day. Quiet Please. 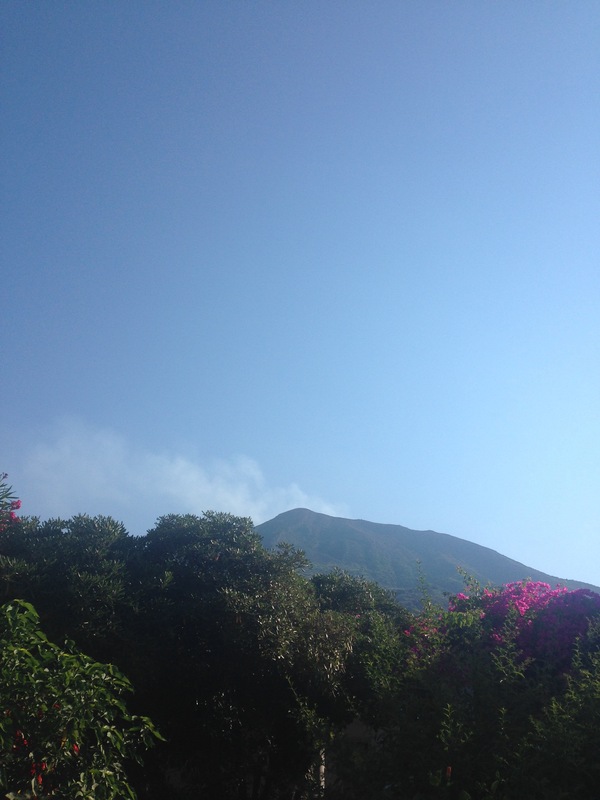 This entry was posted in Stories & Poetry and tagged adventure, energy, fire, healing, italy, meditation, rock, sicily, stromboli, strombolicchio, travel, trekking, volcano. Bookmark the permalink. Thank you – I heard it’s been too hot for some of the groups to go up recently. We got lucky in taking a trip up earlier in the month. Looking forward to catching up with your fascinating posts and finding out your latest news. Happy days. Yes! 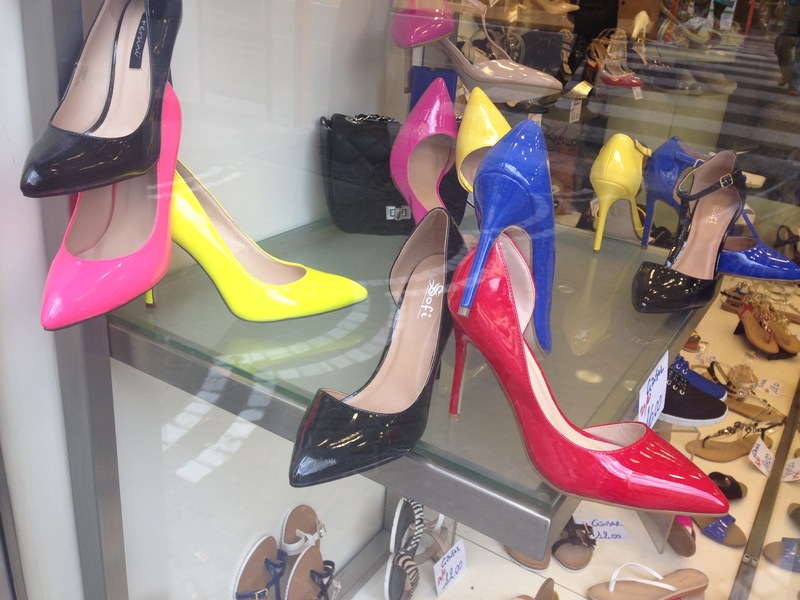 I keep meaning to go to more unusual offbeat destinations but somehow the light in Italy draws me! So uplifting 😉 Thank you for the super walk to Glaisdale. It’s lovely to dig deeper into local history on your walks and enjoy new horizons. Wishing you a lovely Sunday. Nice post! Thank you for the pingback :). Wow, I’m blown away by the symbolism of every photo you shared. Your words so perfectly complimented the photographs. 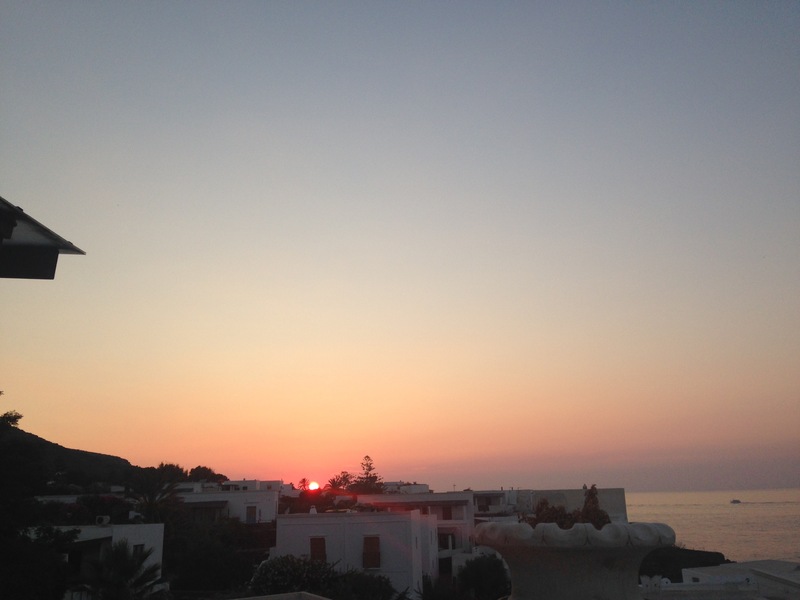 My favorites were of that of the sky and sunsets. So so beautiful ! Hello Zee! Thank you. I am so glad you enjoyed the sunsets. At night we could see so many stars, it is funny to think it is the same sky I see at home. It looked so different. I love your thoughtful insightful posts over on super ‘Life Confusions’ and hope you are having a great weekend! This is a wonderful and unique take on volcanoes, which I have always found fascinating. Beautiful pictures, too. Thank you so much Marilyn for your visit and kind comment. I’m one of the many fans of your blog and I learn a lot from your posts. Your encouragement warms me. Watching the random spurts of fiery energy from a distance was fascinating. Wishing you a happy weekend. A pleasure! Thank you for your lovely comment. I enjoyed the captures you posted with the beautiful textures. Thanks for showing me another way to look at the pebbles. I brought some home so I’m still staring! Happy weekend. Whoop! It was a special sight and it is a joy to share it. I’m glad you saw this too! I hope I return. Thank you for your comment. Wishing you a lovely weekend. What great pictures! And I enjoyed reading your story, thank you so much for sharing. A pleasure. Thank you for these encouraging words. Here’s to a lovely Autumn! Looks like a magical place, the light is amazing. You narrative flows like a designer scarf. “All I need right now is new wheels and a plan to stop them spinning” is now noted in my phone. Thanks for sharing the beauty and wisdom! Whoop! Wow Linda. That is high praise. Thank you. 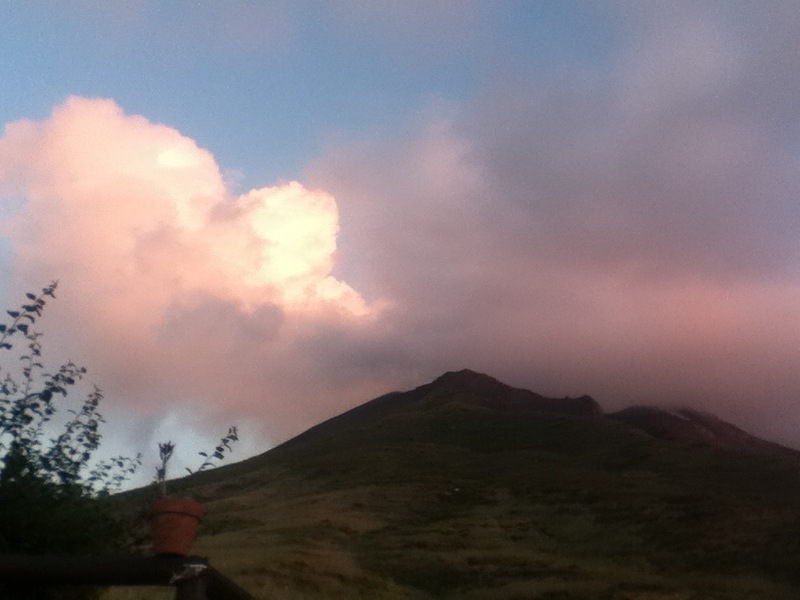 The volcano had such magic. I hope I go back one day. I loved your atmospheric capture of Manhattanhenge. Awesome timing and what a shot. Wishing you a great weekend. Exciting, but a little scary for me. I guess it was a good plan not to look down! The only way is up as they say 😉 I enjoyed the capture of your sunflowers. What beauties. The golden colours looks so deep and rich in the shot. Hope you are enjoying the sunny weekend. I enjoyed your photos and the interesting write. A pleasure. Looking forward to enjoying more of your posts.